Although Italy will hold national elections on February 24 and 25, three regions will hold elections as well — Lombardy, Lazio and Molise. 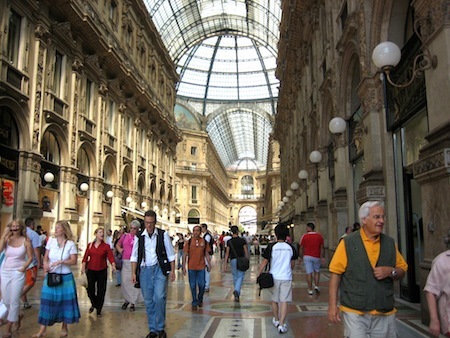 None of those will be more important than those in Lombardy (or Lombardia in Italian), the most populous region of Italy and, as home to Milan, Italy’s financial and fashion capital, also its wealthiest region. Since the fall of the so-called ‘first republic’ with the implosion of Italy’s Christian Democratic party in the early 1990s, the centrodestra (the center-right) has dominated regional politics in Lombardy and, since 1995, Roberto Formigoni has served as Lombardy’s regional president, consistently winning outsized victories against the centrosinistra (the center-left) in 2000, 2005 and most recently, 2010. Formigoni (pictured below), however, is not running for reelection — he announced the resignation of the regional legislature in October 2012 after his colleague, Domenico Zambetti, was arrested for purchasing votes from the ‘Ndrangheta — the local organized crime operation of Calabria — during the 2010 elections. As such, ending corruption in the region’s government has taken center-stage in one of Europe’s wealthiest regions. Realistically, that means that the centrosinistra has its first real shot at winning regional power in Lombardy, though the centrodestra‘s strength is such that, despite its scandal-plagued woes, it remains very much capable of winning yet another term in power. It would be nearly the equivalent of the Democrats in the United States taking control of the government of the state of Texas — a political earthquake, even more of a surprise for the left than in the regional elections in Sicily in October 2012, when Rosario Crocetta became not only the island region’s first leftist president, but also its first openly gay president. Voters will choose the regional president in a direct vote — the winner and the runner-up, as leader of the opposition, are guaranteed a seat in the 80-member Consiglio Regionale della Lombardia (Regional Council of Lombardy). The remaining 78 members of the Regional Council are selected pursuant to a proportional representation system, tied both to the presidential vote and to a separate party-list vote. Polls show both the direct presidential vote and the vote for the Regional Council are incredibly tight. 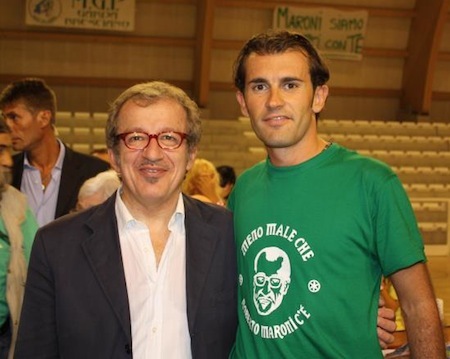 Roberto Maroni, who became the national leader of the Lega Nord (LN, Northern League) in July 2012 after the resignation of longtime leader Umberto Bossi, is running as the candidate of the centrodestra — the Lega Nord‘s local branch in Lombardy is the Lega Lombardia (LL, Lombardy League), and it has been the longtime ally in Lombardy of the conservative Popolo della Libertà (PdL, People of Freedom) of Silvio Berlusconi. Maroni (pictured below) has pledged to step down as the leader of the Lega Nord after the regional elections in February, regardless of whether he becomes the next regional president, apparently ending what’s been a long and fairly successful career in national politics. Most recently, in Berlusconi’s previous government from 2006 to 2008, Maroni served as minister of the interior. A victory for Maroni would not only showcase the strength of the centrodestra‘s hold on Lombardy, but would be a huge boost for the Lega Nord, which has advocated more autonomy for the relatively wealthier northeast and center-north of Italy — and, at times, even its complete secession from Italy. 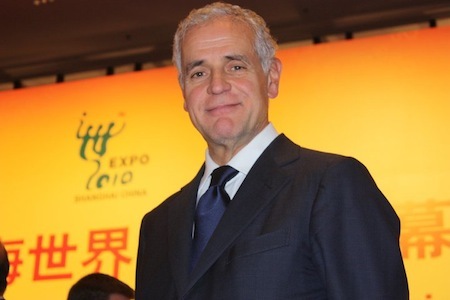 The candidate of the centrosinistra, Umberto Ambrosoli, is the son of Giorgio Ambrosoli, an attorney murdered in 1979 as a result of his investigation into the irregularities of a the Mafia-connected banker, Michele Sindona. I wasn’t entirely sure he could pull it off, but the unlikely Rosario Crocetta will become Sicily’s first openly-gay regional president and likely the first leftist to have won a clear mandate in one of Italy’s most culturally and politically conservative regions. According to preliminary results, the center-left coalition backing Crocetta has won 30.48% and 39 seats in Sicily’s 90-member regional parliament, giving it a plurality of seats, but something short of an absolute majority. Crocetta’s victory in Sicily makes the former Gela mayor Italy’s second openly gay regional president — he joins leftist Nichi Vendola, the president of Puglia (also in southern Italy). This is a bit of a shocker given Sicily’s incredibly conservative bent, and the region has been consistently governed by center-right politicians and centrists alike, but never by a former Communist Party member. Through the early 2000s, Crocetta was a member of the Partito della Rifondazione Comunista (Communist Refoundation Party). Although many PRC members joined moderate social democrats and centrists to form what’s now Italy’s largest center-left political party, the Partito Democratico (PD, Democratic Party), in 2007, Crocetta certainly comes from the more radical leftist tradition. Interestingly enough, so does Vendola, who was elected as Puglia’s regional president in 2005 from the PRC and subsequently reelected. Vendola, who has future national political hopes, and who seems likely to play a role in Italy’s upcoming national elections in early 2013, has formed his own leftist party — Sinistra Ecologia Libertà (SEL, Left Ecology Freedom). Not only is Crocetta’s victory a watershed moment for Italy’s left, it’s a victory for Sicily’s courageous anti-mafia forces. 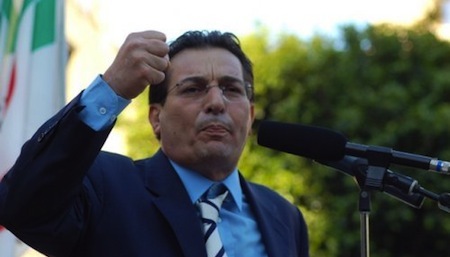 In a region where politics and organized crime are often two sides of the same coin, Crocetta was an anti-mafia crusader as the former mayor of Gela, Sicily’s sixth-largest city, working to convince local businesses not to pay protection money to the Sicilian mafia. In fact, he was such a stridently anti-mafia mayor that he’s been the subject of several assassination plots and has been living outside of Gela since 2009. Meanwhile, the center-right coalition led by European Parliament member Nello Musumeci has won just 25.73% and 21 seats. 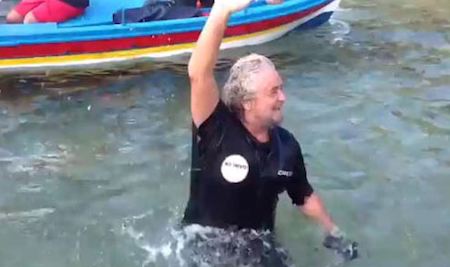 The surprisingly strong third-place winner was the new anti-austerity protest party, the Movimento 5 Stelle (M5S, Five Star Movement), led nationally by the comedian and blogger Beppe Grillo — who swam across the Strait of Messina from the Italian peninsula to Sicily to kick off the party’s regional campaign. 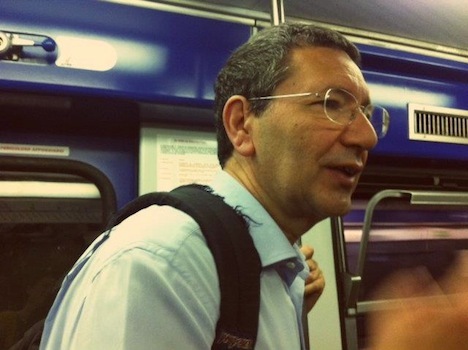 Giancarlo Cancelleri, the presidential candidate backed by the Five Star Movement, won 18.18% and the party won 15 seats. 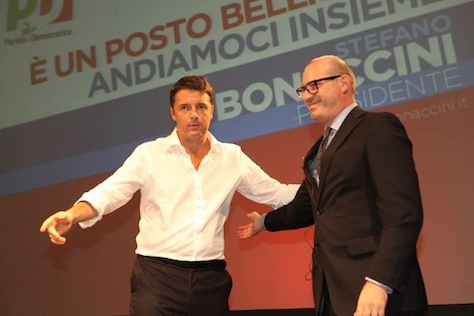 A center-right ‘Sicilianist’ coalition, essentially the coalition to which outgoing president Rafaelle Lombardo belongs, under the candidacy of Gianfranco Micciché won just 15.50% and 15 seats. Lombardo resigned in July in the wake of charges of corruption and complicity with the Sicilian mafia, forcing early elections. Today, one of Italy’s most iconic regions — Sicily — goes to the polls to elect the 90 members of its regional legislature and, indirectly, a new regional president. For all the beauty of its landscape, the majesty of its architecture and the divinity of its food and wine, Sicily, the home of the well known Cosa Nostra, the Sicilian organized crime group that has become synonymous with the word mafia, is not the world’s model showcase for good governance. Sunday’s elections come six month early after the resignation on July 31 of regional president Raffaele Lombardo, who was elected overwhelmingly in 2008, but stepped down under a cloud of corruption — depressingly familiar charges of complicity with the Sicilian mafia. The election also comes as a bit of a dress rehearsal for Italy’s expected upcoming general election (along with early elections expected soon in Lombardy as well) — just a couple days after former prime minister Silvio Berlusconi’s conviction in a Milan court for tax fraud. 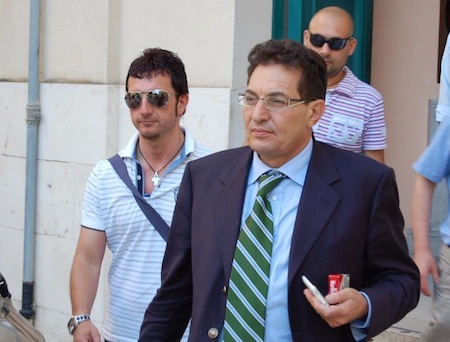 Rosario Crocetta (pictured above, top), the leading leftist candidate for president and the mafia-fighting former mayor of Gela (Sicily’s sixth-largest city) would be Sicily’s first openly-gay regional president and has campaign marks the best chance of the center-left in a generation to govern Sicily. But polling nearly as well as the broad center-right and the center-left is the new anti-austerity protest party, the Movimento 5 Stelle (M5S, Five Star Movement) of blogger and comedian Beppe Grillo — he made a splash by swimming across the Strait of Messina from the Italian peninsula to Sicily at the beginning of the campaign (pictured above, bottom). In one way or another, each of the five main parties competing in today’s election in Sicily will be able to pull lessons from the result in advance of national elections that, although just six months away, remain incredibly fluid. Italy’s technocratic prime minister Mario Monti, who was appointed in November 2011 to push through budget, tax and labor reforms in the midst of an Italian sovereign debt crisis, remains popular, but has said he won’t run in his own right for election (although could remain available to head a future technocratic government). Berlusconi had pledged as recently as last Wednesday that he would not run for prime minister as the leader of his own center-right Popolo della Libertà (PdL, People of Freedom), though the unpredictable former prime minister has already said he plans on staying in politics to some degree. 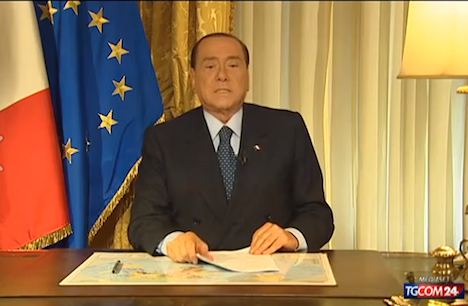 Yesterday, in a Nixonesque, hourlong rant, the enraged, newly-convicted Berlusconi hinted he might even try to bring down Monti’s government to bring forward a snap election even sooner, lashing out at Monti, German chancellor Angela Merkel, former French president Nicolas Sarkozy, and a ‘judge-ocracy’ that he says is ruling Italy. 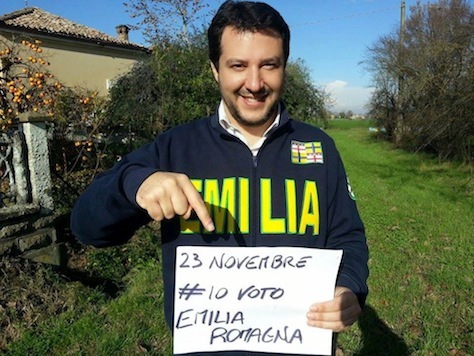 With plenty of money and control over Italy’s private media, he’ll be able to influence politics as long as he wants. Currently, the PdL secretary is Angelino Alfano, a 41-year-old former justice minister who is from Sicily and rising star who’s thought to be the leading contender to lead the PdL into the next general election. Meanwhile, the center-left Partito Democratico (PD, Democratic Party) expects to choose its candidate for prime minister in November. With 5 million people, Sicily features just around 8.5% of Italy’s total population. Despite a national GDP per capita of around $31,000, Sicily’s is something like $19,000, vying for Italy’s poorest region with a handful of other southern provinces — it’s nearly half the GDP per capita of the richest province, Lombardy (around $39,000). In the prior regional elections in 2008, Lombardo led a center-right coalition that included the PdL, the Unione di Centro (UdC, Union of the Center), remains of what used to be the once-formidable Christian Democratic party and his own regionalist Movimento per le Autonomie (MpA, Movement for Autonomies) and together won 65.4% of the vote and 61 of the 90 seats in Sicily’s regional parliament. A PD-led leftist coalition, headed by Anna Finocchiaro, won just 29 seats at 30.4% of the vote. The vast majority of the seats (80) will be chosen by proportional representation, with a 5% threshold for winning seats; an additional 10 members are elected with a block-voting system. In today’s regional elections, though, there are five coalitions/parties, each fielding its own candidate for regional president — polls are hard to come by, but it’s a bit of a free-for-all. Near the top of the polls is the PdL coalition, headed by Sebastiano ‘Nello’ Musumeci. Musumeci, a member of the European Parliament, is himself a member of a small autonomist right-wing party in Sicily, Alleanza Siciliana (Sicilian Alliance), having his roots in the now-defunct National Alliance, a stridently right-wing party which had neofascist roots. Although he’s not actually a member of the PdL, a broad win for Musumeci would bolster the PdL nonetheless and, in particular, boost Alfano’s chances of leading the PdL into the next elections — despite record-low polling for the PdL nationally, Alfano would be attempting to become Italy’s first Sicilian prime minister since Mario Scelba led the Italian government from 1954 to 1955.